The end of summer vacation collided perfectly with getting ready to go back to school at a gala celebration recently at Springfield Housing Authority’s Robinson Gardens Apartments. Crowds of young an old gathered at the family development in the Pine Point section of the city, where a fun agenda included DJ dance music free backpacks with school supplies, face painting, dinner, a literary roulette wheel, and best of all, exotic animals from the Forest Park Zoo on the Go. 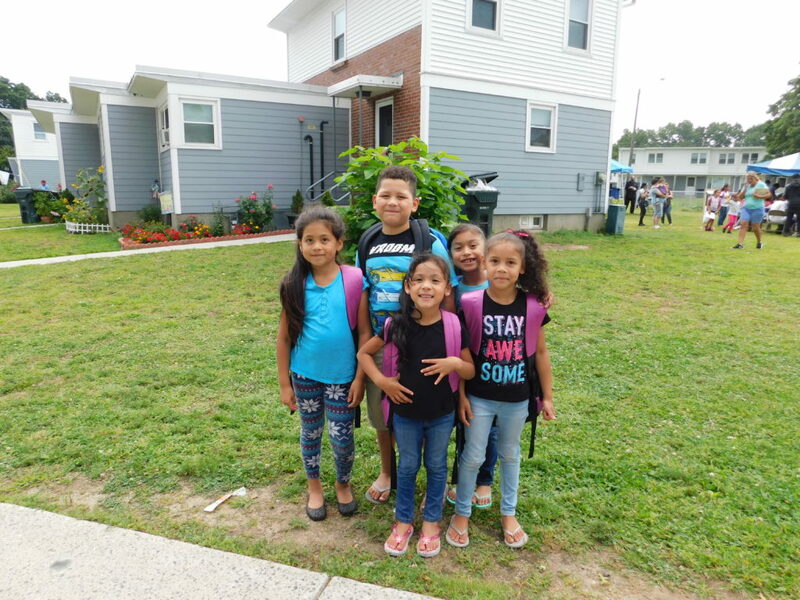 Robinson Gardens Apartments youth trying out their new backpacks at the back-to-school event hosted by Talk/Read/Succeed!. 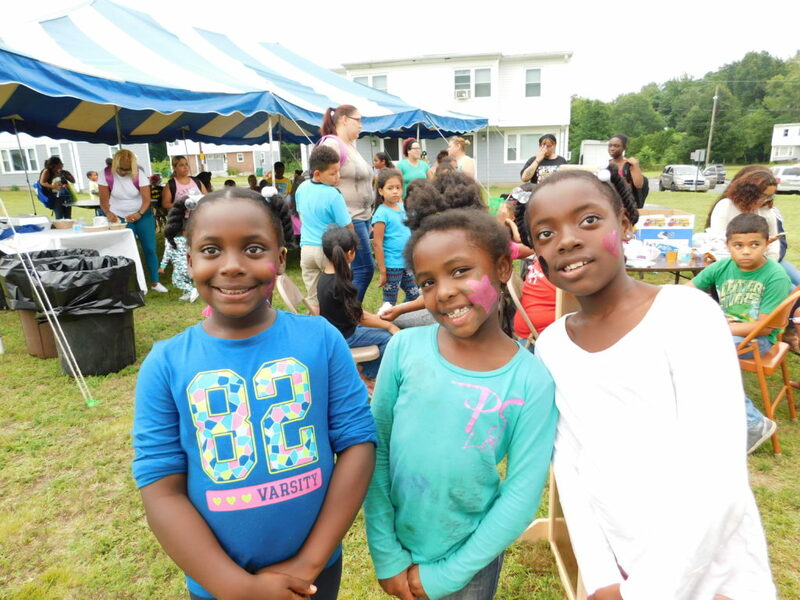 The event was brought to Robinson Gardens by Talk/Read/Succeed!, a family-based early literacy program that involves parents, teens, children and babies in the effort to boost reading and speaking skills, and foster independence. T/R/S! is in its eighth year at Robinson Gardens and Sullivan Apartments, and their feeder elementary schools, Dorman and Boland. This summer, a third SHA development and public school were added – Duggan Park and Indian Orchard Elementary School. 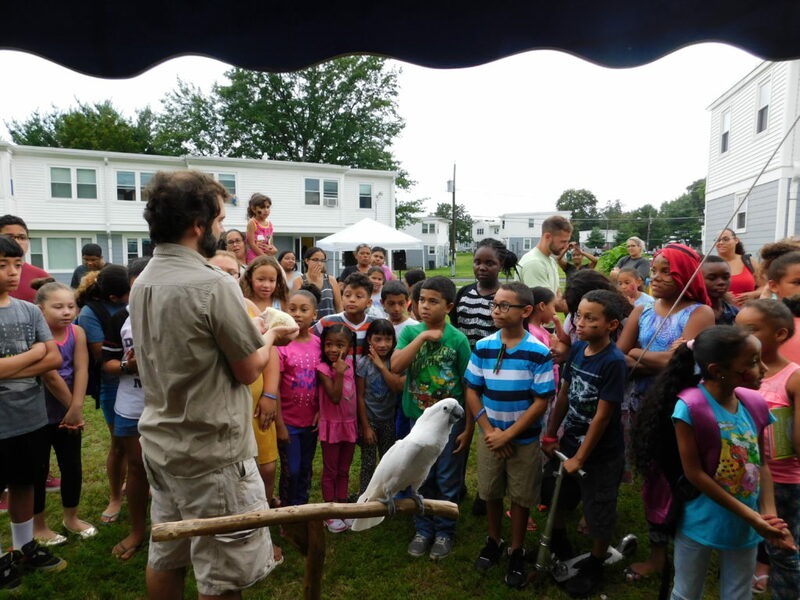 At Robinson Gardens, parents spoke of the success of T/R/S!, children proclaimed the back-to-school event an unqualified success, and staff underscored the importance of combining a serious effort to promote literacy along with a dose of creativity and a bit of fun. Teens at Robinson Gardens Apartments painted faces on the younger set. “I always love anything that Talk/Read/Succeed! is doing. 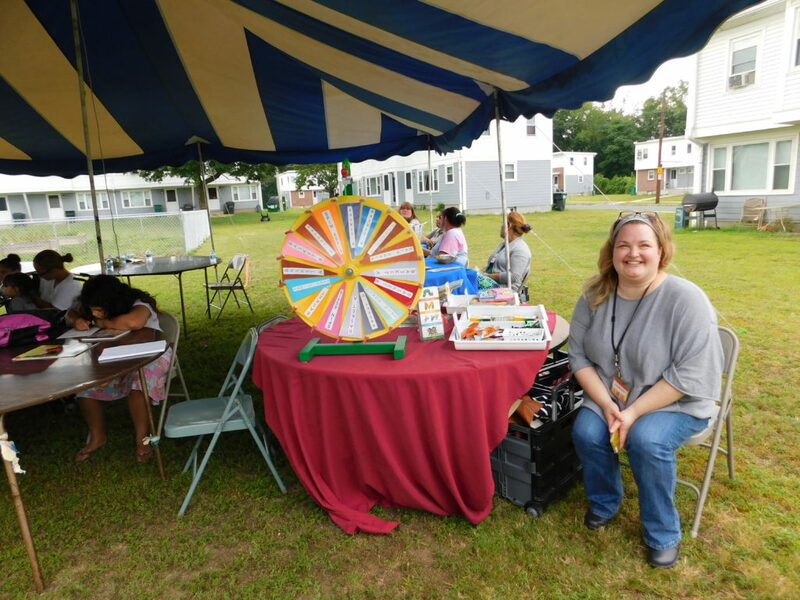 The activities are great for the children and great for the whole family,” she said. Eric Carle Museum Education Director Courtney Waring ran a literacy roulette, with prizes including drawing utensils, pads and books. Mother of two Kelly Robblets is a long-time fan of T/R/S!, which she credits with helping her children do better in school, and assisting her in getting a job, among other things. Also attending the event was one of the T/R/S! partners, the Eric Carle Museum, whose Director of Education, Courtney Waring, ran a colorful literacy roulette wheel that featured prizes of writing utensils, crayons, markers and books. “We want to let everyone know we’re here and we’re ready to provide programming during the school year,” Waring said. Sisters Brianne, Caitlyn and Alexis Gasque, ages 8, 7 and 10, show off their painted faces at Robinson Gardens. Another popular visitor was the Forest Park Zoo on the Go, with Educator Ben Stafford and intern Eric Schroder showing off and letting children pet a cockatoo, two African pigmy hedgehogs, and two corn snakes. Children crowded around that exhibit, asking many questions and reaching out tentatively to touch. Children were thrilled with everything, though many had their favorites. 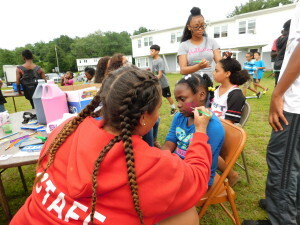 Her sister Alexis Gasque also liked the face painting, along with other things. “The music is great,” said the 10-year-old. 611 days ago / Talk/Read/Succeed!